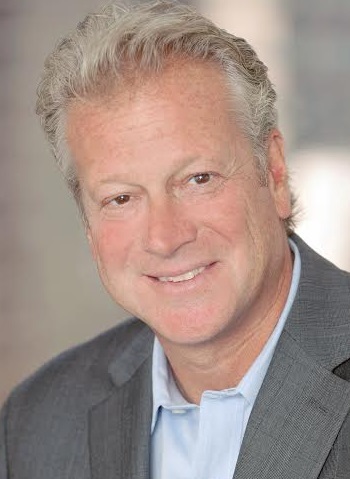 Andy Polansky is Chief Executive Officer of Weber Shandwick, one of the world’s leading global public relations firms with offices in 81 countries. Andy was named CEO in November 2012 after serving as global president since March 2004. Andy has a long track record of outstanding client and business results. Under his direction, Weber Shandwick was named to the prestigious Advertising Age Agency A-List in 2014 and 2015, appearing for two consecutive years as the only PR firm on the list. Weber Shandwick was also named PRWeek’s 2015 Global Agency of the Year and The Holmes Report‘s 2015 and 2014 Global Agency of the Year, in addition to being recognized as a Best Place to Work by Advertising Age in 2015 and 2014 and PRWeek in 2013 and 2014. How did you get into the PR industry? I began my career as a journalist, which is something I aspired to do from a very young age. I was working as a newspaper reporter in New Jersey when a college friend told me about an entry-level position with Bozell & Jacobs Public Relations. He characterized it as an opportunity to write for companies instead of newspapers and perhaps even travel the world. That sounded really exciting, so I took the position. The company eventually became a part of what Weber Shandwick is today, and it’s the same company I’ve now been with for more than 30 years. (And, as it turns out, I’ve had the great fortune of traveling and working with people around the world). Tell us about Weber Shandwick. What inspired the idea and what is your vision for the company? Weber Shandwick is a global communications and engagement agency. Today we operate in more than 80 countries around the world. Our focus is on storytelling and acting as advocates for our clients to help them engage with their key constituencies – no matter the platform. It means we have to break through traditional service lines to integrate social, digital, content, publishing, advertising, PR, corporate reputation and public affairs into solutions that drive business results for our clients. The industry is changing, to be sure. But smart, creative, strategy-driven ideas have always been – and will continue to be – at the center of everything we do. What strategic partnerships/marketing strategies have you implemented that have attributed to Weber Shandwick's success? The communications industry is evolving rapidly thanks to digital and technological innovation. Weber Shandwick has a long history of collaborating with partners. We believe we serve our clients best by bringing together the brightest minds, expert organizations, and cutting-edge capabilities, both inside and outside of our firm, to navigate the new landscape and deliver business results for our clients. Our most recent strategic partnerships have been focused on gaining a deeper knowledge and capability in emerging digital, content and creative areas. We were the first large agency to partner with Niche, a leading network connecting influential social content creators with companies and brands. In 2014, we were also the official producer, content creator and director of The Sundance Film Festival’s first daily live streaming show, in partnership with the Sundance Institute and YouTube. We’ve engaged with the Festival as an opportunity to learn from the world’s best creative storytellers while putting our live content creation capabilities into action. I believe there’s never been a more exciting time to be in public relations. We follow closely the convergence happening across the marketing services sectors. Lines have not only blurred, they’ve entirely disappeared in many cases. Ultimately, it’s made marketers more keenly aware of how powerful storytelling across platforms is what drives engagement and business results. And, that’s a big part of what public relations is all about. We also see social media continuing to evolve and visual content becoming more pervasive. We call it “visual influence.” We’re developing partnerships, identifying trends and helping clients tell their stories in a media and cultural landscape that is increasingly defined by visual content shared by social influencers with followings that rival television audiences. At the end of the day, staying relentlessly curious about new opportunities, platforms and strategies for our clients is essential to our succeeding in this transformation. Be humble, play nice and give back. Your greatest success as CEO of Weber Shandwick? Most difficult moment-how did you overcome and what did you learn? Our greatest challenge and greatest success as a team tracks to our 2001 merger of three large public relations firms – Weber Group, Shandwick and BSMG Worldwide – to create a global powerhouse. The most challenging aspect of the merger, as is always the case when combining companies, is to create a unified, collaborative culture. I learned the importance of listening to employees at all levels of the company, and to create an environment where all voices are heard and different points of view are celebrated. Always remain intellectually curious. Learning, observing and building your knowledge of the world going on around you is vital to your success, no matter your industry or expertise. The world is connected now in so many ways – infinite ways. Drawing from those insights, perspectives and ideas will create a stronger enterprise. Describe the ideal experience using Weber Shandwick. We consider our clients as partners in every sense of the word. We go beyond providing communications counsel to think deeply about how we can provide solutions for our clients’ businesses. We make sure we understand their businesses inside and out; that we bring our best talent from across geographies, practices and areas of expertise to collaborate and generate the best, most creative ideas. I’m deeply passionate about fostering an environment where our people feel empowered and inspired to do great things. At Weber Shandwick, we’re fortunate to work with the world’s leading brands and organizations across the industry spectrum, so there are always great opportunities for exciting, challenging and creative thinking for our people. We encourage our teams to be entrepreneurial and innovative. In fact, it’s at the core of our culture. We’re always trying to push the boundaries when it comes to creative and strategic thinking, so there’s a constant energy and excitement around “what’s next?” at Weber Shandwick. My mother-in-law’s meatballs with a glass of my favorite cabernet. At the moment it is “The Road to Character” by David Brooks, a terrific New York Times columnist. Kayaking. Sometimes the current is behind you, sometimes it is in your face. Tough call. Probably China – love the energy, the business opportunity and the people. What's next for Weber Shandwick? We’re focused on deepening our expertise and upping our game in strategy, creativity, analytics and digital engagement to support our client partners. It also means continuing to find the best, highly-specialized, diverse talent out there to bring new types of thinking, ideas, skills and expertise to our global network. It’s a new era for public relations, and the ability to elevate our role in the new marketing services landscape is an incredibly exciting opportunity for Weber Shandwick and our industry.